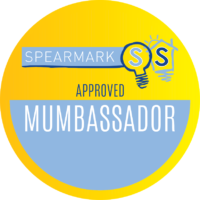 As some of you may know that we are very proud to be a Mumbassador for Spearmark. They are a family fun business that manufactures and supplies the most amazing kid’s bedside night lights, lunchbags, mugs and more! Today I am sharing 3 more of their fab night lights with you and afterwards will be offering one of you lucky readers the chance to win one of the three designs. We love the Trolls and were very lucky to have met Poppy on our time at Shrek’s Adventure. This fun Poppy illumi-mate is perfect for little Trolls fans. She changes colour giving off a gentle glow. All illumi-mates run off 3 x LR44 which are included. They stay cool to the touch so are ideal for the bedside or to take along on holidays or sleepovers. We all know how popular emoticons are and this little illumi-mate is no exception. This one is suitable for all ages and will make a great bedroom accessory. See the colours change from purple to pink to red to green, blue and back to purple again. How cool is this Kylo Ren illumi-mate? Every Star Wars fan should have one. Even the grown-ups! Changes colour to make a funky feature in any room. Ideal for kids sleepovers, travels and even man caves! What do you think of these fab designs? If you know somebody who would love an Illumi-Mate light then why not enter our giveaway? The lovely people from Spearmark are offering one reader the chance to win one of the three lights featured! You know the drill. 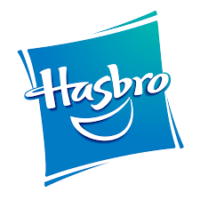 Fill in the rafflecopter form below for your chance to win. Good luck! I know my children would love this! Would love to win the Star Wars one for my nephew. love the troll one, maybe I would keep it for myself, rather than give to my daughter if I was to be the lucky winner. Really like these lights, they are cool and clever!